Eww. 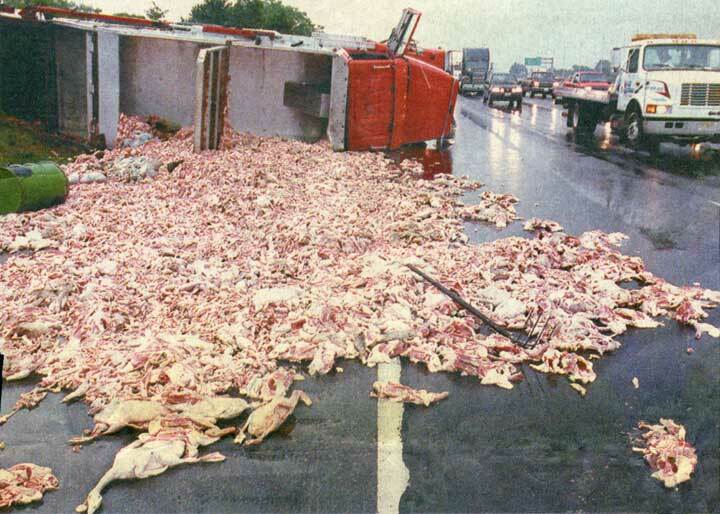 This truck filled with animal parts (although it looks like mostly chickens) overturned on I-287 in Piscataway, NJ (year unkown). The animal parts were on their way to be made into pet food in Pennsylvania.